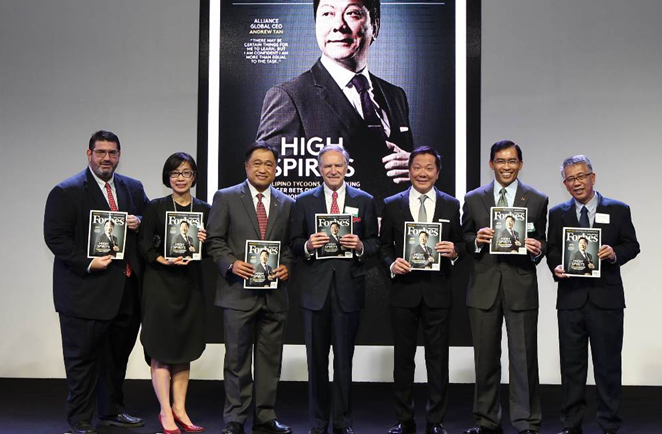 Forbes Philippines, a monthly magazine published in English for the Philippines’ leading CEOs and entrepreneurs, celebrated its inaugural launch earlier this month. Forbes Philippines is published under a licensing agreement between Forbes Media LLC and Summit Media. Forbes Philippines will offer feature articles on how entrepreneurs, business owners, executives, celebrities, and philanthropists are making a difference. Forbes Philippines will also have access to Forbes stories from around the world, and will also feature local content from the Forbes Philippines editorial team. The initial circulation of Forbes Philippines will be 10,000 per month. Forbes Media LLC also publishes Forbes Asia, its flagship magazine in the region, and under licensing partnerships, Forbes China, Forbes India, Forbes Indonesia, Forbes Japan, Forbes Korea, Forbes Mongolia, Forbes Thailand and Forbes Vietnam. Altogether, the Forbes brand in Asia has a circulation of some 500,000.